The Alternative Futures project promotes UON through an affiliation with an active international network (Common Alternatives) and the UON Alternative Futures Symposium. The members of the network regularly cooperate with one another in exchanging data, writing grant applications, systemic research, presentations and discussions of their works through online forum, and co-authorship. Of the network’s members and associates, four are Fellows of the Academy of Social Sciences in Australia (ASSA). S. A. Hamed Hosseini, PhD in "Sociology and Global Studies" from the Australian National University (ANU), is a Senior Lecturer in Sociology and Anthropology and the first Cluster Leader of “Societies, Cultures and Human Services” (School of Humanities and Social Sciences), Lead CI of The Alternative Futures Network, chief editor of The Routledge Handbook of Transformative Global Studies, and the co-founder and chief editor of Common Alternatives website. As a political and economic sociologist, Hosseini's main field of research is shaped around the studies of Alternative Futures beyond Carbon / Capital / Growth (post-capitalist policy development and Eco-Commonism) as well as the sociological and social Psychological understanding of Closed/Open mindedness, Right Wing Populism and New Authoritarianisms in 21st century. 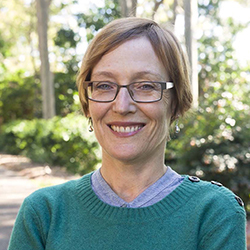 Associate Professor Cushing is an established researcher working across two fields, the history of Newcastle and Australian environmental history, especially human-animal relations.Since 1995. She has been one of the very few scholarly historians publishing books and articles on the history of Newcastle and insisting on the need for the city to be considered in constructing the national narrative. 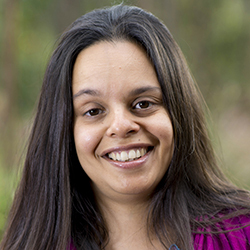 Her work on air pollution in Newcastle provided the first comprehensive study of the identification of air pollution as an urban problem and community responses to it in Australia. This scholarship has shown the transnational approach adopted by anti-air pollution activists and the role of science in arming them with the evidence needed to achieve government intervention. Professor Lovat is qualified in Theology, Ethics, Education, Philosophy and Social Anthropology. 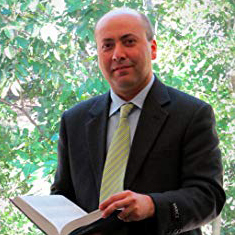 He has particular expertise in matters of Islamic versus Judaeo-Christian Theology, and religion, ethics and values in their application to education. This background has led to a particular species of research in education. In the early 1990s, he was involved in the development of professional ethics, especially in medicine, allied with the creation of the inaugural ethics committee for the University. This led to collaborative work in several fields of ethics and bioethics. As a specialist in modern Russian and Soviet history and historiography, with other interests in European fascism, genocide, and colonial settler states, a central theme of Prof Markwick’s research is how historical discourse can influence not just the way a society views itself, but its very survival and future changes. Prof Markwick’s Russia's Stillborn Democracy? from Gorbachev to Yeltsin is of high relevance to this project as it reflects on the collapse of the Soviet superpower, and the emergence of a new Russian state claiming to base itself on democratic, market principles. Such historical reflections are highly essential for any theorization of futuristic transitions beyond Capitalism. 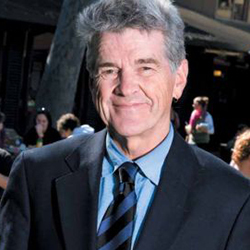 Emeritus Professor William Mitchell holds the Chair in Economics and is the Director of the Centre of Full Employment and Equity (CofFEE), an official research centre at the University of Newcastle. He is also on the board of CofFEE-Europe. Mitchell works to promote active government economic policies and the use of budget deficits as a tool for economic productivity. 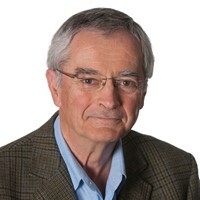 Professor Mitchell has contributed to his fields of specialty by extending and drawing on Markov-switching models of job creation and job destruction, Buffer Stock Employment models, the Job Guarantee, Costs of Unemployment, Phillips curve studies, Capital adequacy in banking, public policy, Large-scale macroeconometric modelling, Regional models of unemployment and Spatial Econometrics. Dr Motta’s is a mother, critical theorist, popular educator and poet whose works seeks to disrupt the borders and boundaries between university and community, theory and practice and education and life to co-produce a politics of knowledge that contributes to our emancipatory dreams for the 21st Century. She has published widely in academic and activist journals and is editor and co-founder of Interface: a journal for and about social movements. Her latest book is ‘Constructing 21st Century Socialism in Latin America: The Role of Radical Education’ (Palgrave Macmillan). Her next book a decolonial feminist/feminised non-manifesto of liberation ‘Liminal Subjects” Weaving (Our) Liberations’ will be published by Rowman and Littlefield in late 2018. Martin Watts is a Professor of Economics and Fellow of Center for Full Employment and Equity at UON. 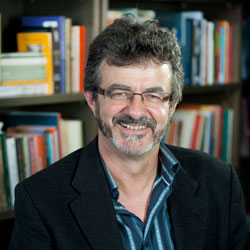 Over Prof Watts’ career, he has established a record of research in macroeconomics and labour economics, with the majority of publications in Australian journals, including the Journal of Industrial Relations, Labour and Industry, Australian Bulletin of Labour, Australian Economic Papers, Australian Journal of Social Issues and the Australian Economic Review. Over this period, Dr. Watts established an international reputation for his research into the measurement of segregation and the empirical analysis of segregation trends. Verity Nancy Burgmann FASSA is Adjunct Professor of Politics in the School of Social Sciences at Monash University and Honorary Professorial Fellow in the eScholarship Research Centre at the University of Melbourne, where she is Director of the Reason in Revolt website. Burgmann's research interests are international labour movement responses to globalization, radical political ideologies, contemporary protest movements, environmental politics, anti-globalization and anti-corporate politics, and Australian labour history. 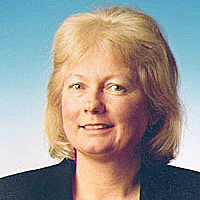 She has established a significant reputation both as a labour historian and as a political scientist of social movements and social change. James Goodman is an Associate Professor in the Social and Political Change Group of the Faculty of Arts and Social Sciences at the University of Technology, Sydney. James Goodman conducts research into socio-political change and climate justice. His focus on global political change was maintained through a second ARC Discovery project, ‘Mapping Justice Globalism’, which investigated ideas and alternatives emerging from successive years of debate at the World Social Forum. His work addresses these issues at the nexus between international relations and international sociology, with a particular interest in environmental sociology. 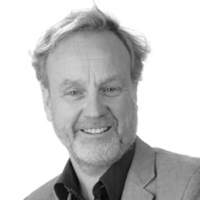 Barry K Gills is Professor of Development Studies at the University of Helsinki, Finland, and the founding editor of Globalizations journal, and Routledge’s Rethinking Globalizations book series. He is the author of A Perfect World: The Myth of Cosmopolis in Global History (2016), and the coauthor (with the late Andre´ Gunder Frank) of The World System: Five Hundred Years or Five Thousand? (1993). 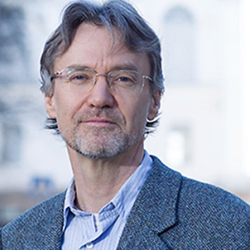 He has co-edited numerous books, including Globalization and Global Politics of Justice (2013), The Global Politics of Globalization: Empire vs. Cosmopolis (2013), People Power in the Era of Global Crisis (2013), and Globalization in Crisis (2011).